Divine Success is dedicated to providing much needed assistance to elementary students, high school students, and disadvantage adults searching for resources in the education field. We pride ourselves in helping students in their problem areas and we also find and connect students with compatible college choices. Your success in education is important to us and we want to make this resource available to you! We here at D.S. share a passion with the general public and understand students need a safe, structured environment in which to continue learning. Even if your child has behavioral challenges, such as being suspended from school, we are here to help. All of our services are designed to enhance the lives of people while giving a solid foundation that will allow success in their higher learning and career choices. Our tutors are comprised of educated professionals that possess Bachelor's, Master's, Specialist, Doctorate or Law degrees. 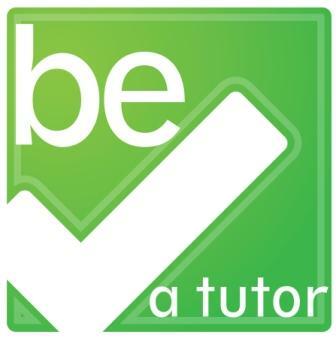 All tutors must submit to an extensive background check before being hired. Our goal, is to provide your child with educational success by making the tutorials interesting, creative, and beneficial. Recently, passing standardized test has been a challenge in the public school system. Divine Success provides the opportunity for your child to receive individual lessons that are catered to their needs. We also will determine their strengths and weaknesses by having them participate in diagnostic/pre-assessment tests. We have a proven track record of success and parent's can entrust their child's education to our organization. We can provide a flexible scheduling for students depending on the preferred days of the parents. Weekends are available upon requests. Divine Success is a 501(c)3 non-profit organization and operates with funding from donations and grants from the public and private sectors. There are many opportunities for you to join us in supporting our goals to present programs to the public that change the lives of youth, adults and families. Our organization will need continued support both financially and with in-kind donations of volunteers, books, materials and computers. Your kindness is appreciated and all donations are tax deductible. Pledge cards and inventory intake cards are available in our office and on our website. Contact the office to arrange pick up of equipment and other non-financial donations.